IFRS Full form is International Financial Reporting Standards (IFRS) are a set of accounting standards for reporting particular types of transactions into financial statements. IFRS are issued by IASB and its full form is International Accounting Standards Board (IASB) and they specify the exact procedure of maintenance and reporting of the reports. The main goal of IFRS is to provide a global framework for disclosing the financial statements of public companies. IFRS provides guidance for preparing financial statements rather than setting rules for specific reporting to the industry. The uniform accounting standards would iron out the limitations of increased business operations in Indian global market. IFRS is a set of uniform accounting standards which helps to wipe out the limitations of increased business operations in the global market across the globe. It helps in augmenting international business to make the international business transactions easy. NSE Academy refers to National Stock Exchange Academy. and full form of NSE is National Stock Exchange. IFRS is partially implemented by changing balance sheet and Profit and Loss account format in a Company. Let us see some important details about Better Accounting Career Opportunities with IFRS Course. The certificate program of IFRS provided by NSE Academy creates an understanding of International Financial Reporting Standards, which are useful and necessary for the success of a company in theses modern business days of the world. IFRS stands for International Financial Reporting Standards. IFRS is a set of principles implemented by the International Accounting Standards Board (IASB). Large companies need to have international standards because they have subsidiaries in different countries. IFRS is very useful to that large companies because it provides general guidance for the preparation of financial statements. The main aim of the IFRS is to provide a global framework for public companies to show their financial statements. Having one set of world-wide standards will helps for simplification of accounting procedures by allowing a company and allows that company to use any one of the reporting language. A single standard will also provide investors and auditors. Many countries in the world are adopting their international standards through IFRS. Only one single format will be used for the financial statement of different companies internationally. Increase the capital will useful to win contract at global level. Provide the complete financial details. Here we mention the benefits that anyone can get by studying IFRS program. Practical knowledge of these international standards will open offers throughout the world as more than 100 countries have agreed for adopting IFRS. Good Skilled and well experienced IFRS experts can start their own consultancies to help number of companies migrate to IFRS. These international standards is complex and time consuming is also huge by IFRS experts. By provide continuous amendments by regulations is creating need for IFRS professionals for understanding of international business standards. IFRS knowledge is very useful to the candidates to clear Charted Institute of Management Accountants (CIMA) and Association of Charted Certified Accountant Qualification (ACCA) examinations. NSE is the important Certifying academy which provide financial modules. It is one and only academy which provide the Certification course of IFRS in India. 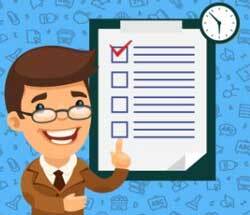 After completing the certification course of IRSE, one candidate should will learn the following elements. The IFRS professional can apply related financial reporting standards to key elements of financial reports. They prepare group financial statements including subsidiaries, associates and joint arrangements after completion of Certification program. Provide disclosure requirements for companies in financial reports and different types of notes to accounts. The Students who want to begin a career in financial reporting can pursue this course. Candidates who are pursuing either graduation course or post-graduation course in commerce, or qualified professionals like MBAs, CAs, CMAs, CSs or any other relevant course in the field of finance or commerce can suitable for this IFRS certification course. Accounting professionals who want to improve their skills by learning the new accounting standards to get good opportunities. 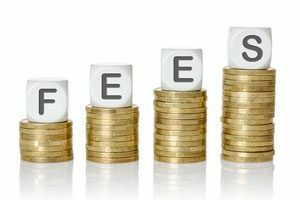 The fee for IFRS course ranges between Rs.20, 000/- to Rs.30, 000/- and the payment can be done either through online or through Demand Draft (DD). 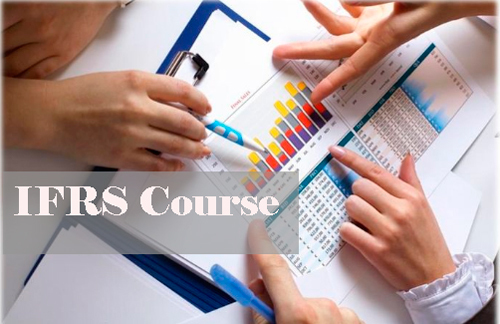 Here we are providing you some important topics of IFRS certification course. IFRS Online course are conducted at professional grade with IT conferencing system. The students interact with the trainers in real-time during the class. Under this system of learning, the students are required to install a light-weight IT application on their devices i.e. either laptop or desktop or tablet or mobile to attend their online classes. After the completion of the course the students are able to understand & explain the structure & framework of international accounting, apply relevant financial reporting standards to prepare financial statements either individual or group which includes subsidiaries, associates and joint ventures. The institutions which offer International Financial Reporting Standards (IFRS) course provide study material of their own either through online or directly. The study material which is provided by the institutes coves all the topics regarding preparation of financial reports at various levels that can be understandable to the students for the successful completion of the course. 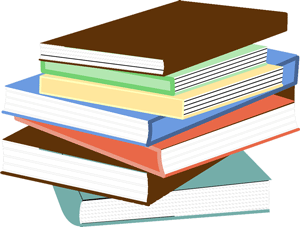 The trainers also advice some reference books for their students if necessary. Now let’s go through the IFRS certifications by various institutes. Association of Certified Chartered Accountants (ACCA) is a global body of professional accountants that have launched IFRS Certification course which is useful for the professional accountants who are experienced in Indian GAAP to address international financial reporting and uses of IFRS application in India. The course is designed to attain knowledge in understanding the concepts & principles of financial applications in international marketplace. IFRS Course by Institute of Chartered Accountants of India (ICAI) is gaining important role in India. This institute offers IFRS Certificate course with provided video lectures that the students may download to understand the concepts, principles and applications of financial transactions and their applications in business organizations. The institute trains the students in preparation of financial reports at various levels or modules. Institute of Cost and Work Accountants of India (ICWAI) offers IFRS course with a view to educate the members about the practical aspects of IFRS within the duration of 3 months through online mode. The main objective of introducing this course is to equip the students with essential knowledge regarding International Financial Reporting Standards. After the completion of the course, the students acquire good knowledge in preparation of financial statements or reports of business organizations. Firstly the candidate should enroll for the course with in IMS preschool. That candidate need to complete the three months training classes. Internal examination will be conducted and the learner should get 70 percent marks in that internal examination. Fill the exam form on the Proschool website with NCFM ID. You can get the ID from IMS preschool website directly. Attend for the exam at NSE India or its related exam centers. If you clear the NSE India Certification on IFRS and later you can get certification of IFRS. After completion of IFRS certification course, the candidates can attempt for Cert IFRS examinations (ACCA) without any type of further coaching. The leaners can get an additional certification of Ind-AS and additional hours of training for Dip IFRS (ACCA) from IMS Proschool without paying any amount, the additional time is nearly 10 to15 hours. On completion of the Certification course of International Financial Reporting Standards, the IFRS candidates can get a wide range of career opportunities. Let’s view some career options related IFRS course.